If you only make use of one tool from this list, Google Search Console (formally known as Webmaster Tools) is the plum choice. Just as the logo demonstrates it’s intent with a spanner, using Search Console is akin to giving your site a regular service; use it to keep everything running smoothly, and spot bigger issues quickly. Find out if your site has a manual penalty, identify crawling issues and broken links, see how many pages are indexed, download links, test your robots.txt file or structured data, and plenty more, all for free. It’s a peek into how Google regards elements of your site. Oh, and while you’re at it, check out Bing Webmaster Tools; as Sam points out, there’s lots to be gained from this free tool as well! Ok, we all know about the frustration of (not provided) keyword data, taking away some of our most helpful analysis. But, there’s still a HUGE advantage is having analytics data for your site in order to analyse content, user experience, the success of campaigns and more. In fact, if you’re not using analytics in your digital marketing, you’re behind the competition, no matter what. Google Analytics remains a popular, and constantly evolving tool, though there is increasing competition from alternatives such as Clicky, Open Web Analytics, WebTrends, Omniture and more. Want some extra help? Check out the Solutions Gallery for great ways to slice your data, and the URL builder to add custom tracking to your links. Another tool that’s been through significant, and often much-lamented, change in the last year, the Adwords Keyword Planner remains the de-facto source for many when it comes to ascertaining keyword volumes (though don’t rely on it for exact numbers), even if other tools are used for generating seed lists. It feels that the new Planner is much more PPC focussed than the Keyword Tool it superseded, and the suggested keywords are often so broad as to be useless initially. However, there are ways to still use the Keyword Planner to get excellent data. Google Trends is still a great tool for comparing traffic for different search terms, including historic, geographic and related terms (in Google’s mind) data. Understanding if a term is a rising or falling element of your topic’s vocabulary is highly valuable for creating enticing content, and available for free. We all know that understanding our audience is key to making a great website that serves their needs. Whilst surveys can cost a lot of money, Google’s Consumer Surveys have a free option for measuring site satisfaction – you can’t deviate from the four default questions without paying, but you can still get valuable data on how users perceive your site and their experience of it. This can be especially helpful when testing a new site design or content category. 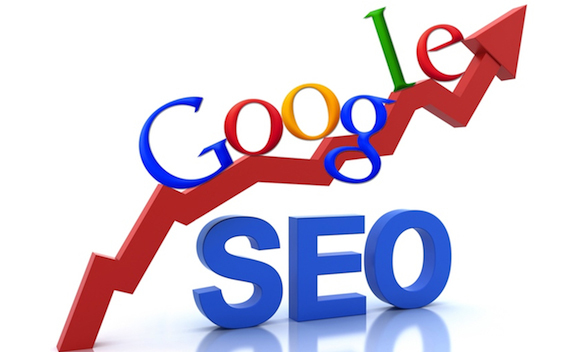 Google announced that site speed had become a signal in their search ranking algorithms. Subsequent studies have also shown that site speed does have an effect on your site’s visibility. Fortunately, there is a way to create a list of suggestions for your client or development team without having to be an expert coder (though that never hurts). Google’s PageSpeed Tools includes a PageSpeed Insights broswer extension for Chrome and Firefox (as an extension to Firebug), and an in-browser version that offers even further detail. Either option will give you some actionable data to get your site literally up to speed. What was known as Google’s Website Optimizer has evolved into Google Analytics Content Experiments. As the name suggests, it now lives within Google Analytics rather than as a stand-alone product, but still offers an excellent, and free, way to test, measure and optimise your site. Content Experiments ties in with the goals you have created in Google Analytics, and lets you show several different variations of a page to users. This means you can test layouts, headlines, content, colours and more to find the optimum layout. As conversion rate optimisation becomes a more common part of the digital marketing landscape, this is a great way to dip your toes in the water before making an investment in an agency or ine of the range of potent user testing tools, all while getting actionable results. Want another free method for extra search visibility that’s been shown to generate traffic? Get yourself a local listings result by using Google’s Local facilities, Places for Business and Google+ Local. Multiple tools? Well, yes, somewhat confusingly, there’s two different ways to claim a local presence. Ah, good old Google Alerts. Whilst it’s reliability has been called into question in recent times, there’s no doubt this still holds an important place in many online marketer and content creator’s hearts. Using Google Alerts you can keep an eye on a topic of your choice with regular updates from Google themselves on the latest index updates. Common uses include finding non-linking citations of your brand, or to keep an eye on the latest news on a topic or company of interest. One of the most common frustrations in digital marketing can be the delay caused by waiting in a queue for development time. Google’s Tag Manager neatly gets round this, letting you update many of the most common site tags without having to ask for dev support. This is a more advanced tool, but the benefits can be outsize. Once the code is installed on the site, a decent array of common marketing tags can be edited without a further code update. There’s support for URL, referrer and event based tags, custom macros and more, plus a debug console. There’s also planned further integration with third party tools to even more flexibility, and it’s possible to use tags from third-party tools such as Optimizely now.